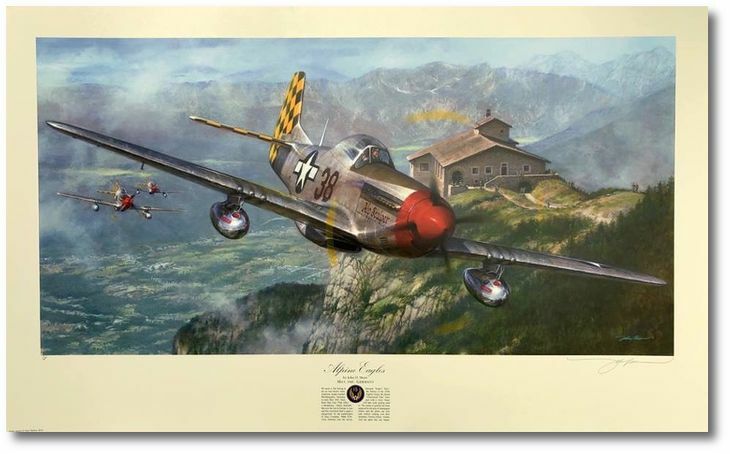 Image size = 28" x 14"
Canvas gicl�e size: 36" x 18"
As the paratroopers of the101st Airborne tour the newly-liberated �Eagle�s Nest,� flyboys of the 325th Fighter Group, the famed �Checkertail Clan,� buzz past with a wave�The feeling in the air was electric when American troops reached Berchtesgaden, Germany in early May 1945. 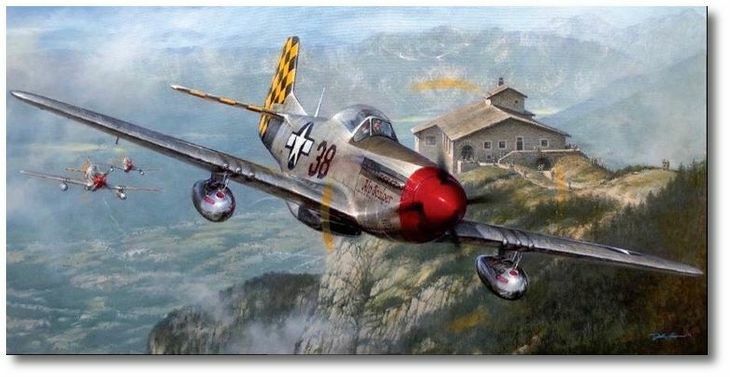 Once, these Alps were �Flak Alley,� but now the war in Europe is won and this storybook land is again a playground. Nazi Gemany has finally surrendered, and the sound of gunfire has been replaced by the pop of champagne bottles. American pilots can now soar without looking over their shoulders. Victory is here. Each canvas gicl�e is hand oil-accented & revarnished, and signed & numbered by the artist.